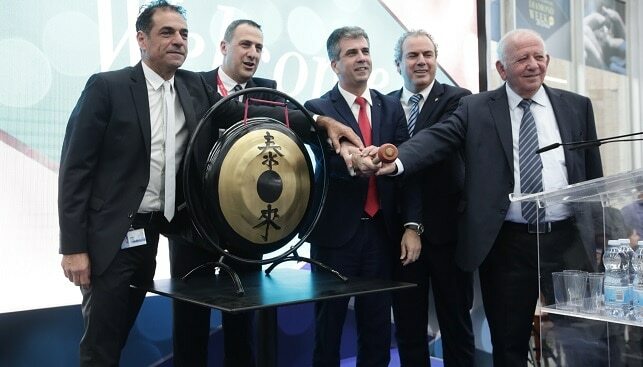 Hundreds of Israeli diamantaires and buyers from around the world filled the trading floor of the Israel Diamond Exchange (IDE) yesterday morning (Monday) as the International Diamond Week in Israel (IDWI) officially opened. 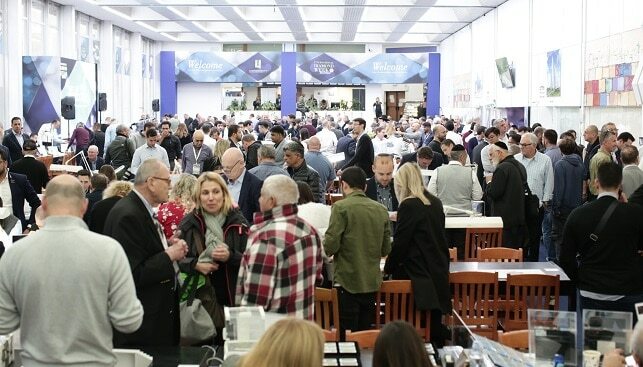 The IDWI, a major event in the Israeli and global diamond industry calendar, promised to be bigger this year, and judging by the atmosphere and traffic in the first day, it will make good on its promise. Around 11 am on Monday, the official opening time for the three-day event, the trading floor gradually filled with visitors and diamantaires. IDE President Yoram Dvash, Minister of the Economy and Industry Eli Cohen, President of the Israel Diamond Manufacturers Association (IsDMA) Kobi Korn, and President of the Diamond Dealers Club of New York (DDC) Reuven Kaufman all spoke at the opening ceremony, and wished the exhibitors and visitors an excellent and fruitful show. The four of them then sounded the big gong, a tradition in every opening ceremony of a major show at the IDE, to mark the official opening of the event. During the day, there was excellent traffic of buyers on the floor, many of whom came to conduct business. The first day was concluded with a lecture by Martin Rapaport, publisher of Rapaport Magazine and the Rapaport Diamond Report, and a central figure in the diamond pricing business; as always, Rapaport’s lecture fascinated the attendees. The IDWI 2019 will present several new features, including a first-of-a-kind auction of polished diamonds held by the IDE, the first tender of Israeli polished goods managed by KOIN International, and a new section dedicated to diamond jewelry manufactured by Israeli companies. 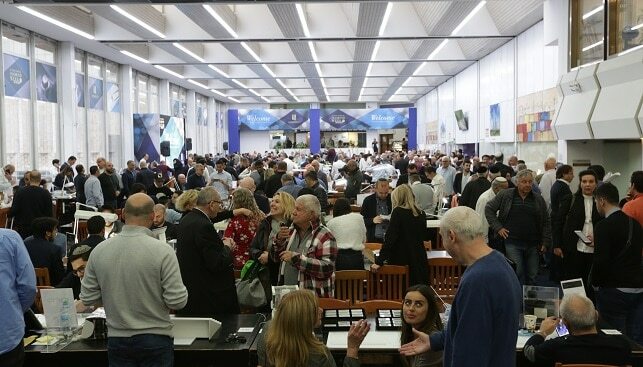 Today (Tuesday) will continue to see hundreds of booths selling diamonds and high-end jewelry by Israeli diamantaires and jewelers on the trading floor of the IDE and the spaces surrounding it, from morning until the late afternoon. At 11 am, an opening ceremony of the Multifunctional Center will be held. The new facility is a first-of-a-kind center in the world, and will hold diamond auctions. On Wednesday, the three-day event will be ceremoniously concluded in a cocktail event at at Dmall Platinum at 5:30 pm.